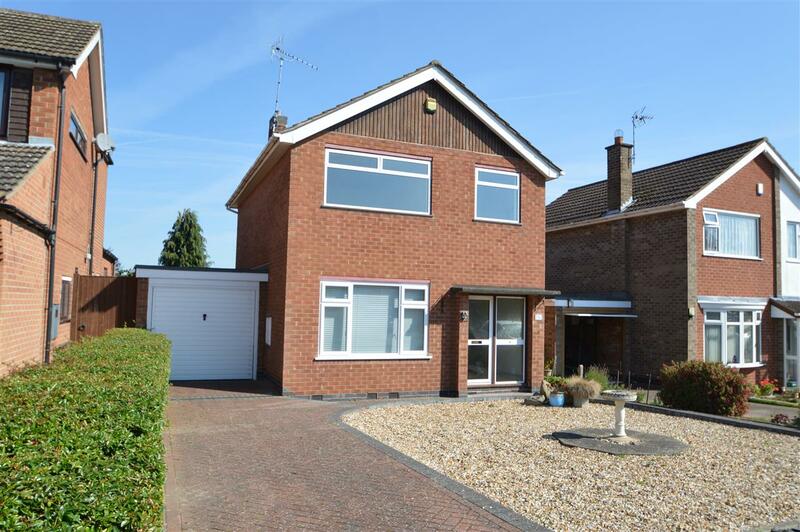 Benefiting from double glazing the property briefly comprises; entrance hallway, open plan living room, fitted kitchen, garage. To the first floor there are three bedrooms, family bathroom. The property comprised of garden to the front and rear aspect. Early viewing is essential. Three radiators, upvc double glazed window to front, double glazed patio doors to rear. Fitted with a range of wall and base units with work surfaces over, drainer with mixer tap, intergrated electric oven and hob, upvc double glazed window to rear, double glazed to side. Double glazed window in wooden frame to side elevation. Radiator, double glazed window in wooden frame to front elevation. Radiator, built in cupboards , upvc double glazed window to rear. Radiator, built in cupboards , double glazed window in wooden frame to front. Three piece white bathroom suite comprising; bath with shower over, wash basin, W.C, radiator, two double glazed window in wooden frame to side elevation.